On one hand, liberals demand that we spend more money on education because they say that is the only path out of poverty. On the other hand, they refuse to enforce border laws and allow the nation to be flooded with poor, uneducated illegal aliens. And on the other other hand, they bemoan the fact that poverty is a terrible problem. This is what liberals call "climbing out of poverty." It's what conservatives call "skewing the stats." Yet somehow our morally and intellectually superior liberal cousins never see the inherent conflict between those three issues. A new Rasmussen Reports national telephone survey finds that 61% of Adults say if immigration laws were enforced, there would be less poverty in America. Only 19% disagree with that assessment, while 20% are not sure. The number of adults who feel there would be less poverty is up 16 points from early July 2007 when only 45% of Americans felt that way. At that time, 32% disagreed. Seventy-seven percent (77%) of Republicans and 58% of adults not affiliated with either political party feel there would be less poverty if immigration laws were enforced, a view shared by just 48% of Democrats. … Despite the billions of dollars spent on government anti-poverty programs, a majority of Americans nationwide still believe there are more poor people in the country today than there were 10 years ago. In fact, a plurality (45%) of adults thinks the current government anti-poverty programs actually increase poverty in America. A majority of Likely U.S. Voters feel that the policies and practices of the federal government encourage illegal immigration. Most voters continue to favor strong sanctions on employers who hire illegal immigrants and landlords who rent to them. Voters also feel strongly that police should check the immigration status of drivers during routine traffic stops. Fifty percent (50%) of adults say it’s too easy to qualify for welfare in the United States. At the same time, 41% of Americans think it’s too easy to get food stamps in this country now. Obviously, if you remove 20,000,000 illegal aliens from the poverty rolls in the United States, the stats start to look a lot different and liberal positions on poverty, education, crime and welfare quickly begin falling apart. Congratulations to Rasmussen for asking the question liberals don’t want asked to the American people for seeing through years of liberal hypocrisy. As a conservative christian I think I speak for the lord when I say this.WWJD?You ask.I say Jesus would not welcome them here like the ignorant libs.Jesus would shoot first ask questions later.You see Jesus HATED poor people.He wouldnt want them here at all.Abort all ILLEGAL BABIES@!!!! Low grade troll is a low grade troll. You are unworthy of the phrase “I own a horse.”, and insufficiently aware of how B and H fields are generated. Erm… I would say this post goes under the FREAK department. You are NOT conservative and you are most certainly NOT a Christian. You are a troll plain and simple. It’s not just liberals who aren’t interested in doing anything about illegal aliens. There’s plenty of people on the right who apparently think open borders are a good idea, too. Call them RINOs, call them whatever, but people need to realize it and vote those people out. Yep, China had their “Gang of Four”, and we have our “Gang of Whores”. If you think that the donks would go to the mat for abortion, you ain’t seen nothing when it comes to illegal immigration. That’s a 20 million person voting block. Very few State lawmakers understand the massive financial implications, for not serving the wishes of citizens and legal residents. Utah specifically is a relatively newcomer to the economic effects of illegal immigration as it’s not a frontier State. Thousands of economic illegal migrants and immigrants, who have already exhausted millions of dollars from the suffering State of Arizona, will be looking desperately for another State to drain. The Mormon State has essentially failed its population, with offering a unconstitutional Guest Worker program and other benefits, will soon learn their mistake as foreigners will sweep across the State line. A repeat performance as in the Sanctuary States of California and Nevada, the schools will be swarmed by the progeny of illegal aliens and US children will get less attention from overtaxed teachers. The Utah school system will have to hire more bilingual teachers, demanding more money from taxpayers. Court procedure will need more interpreters, as the criminal aliens arrive to decimate the State. The hospitals will be raided next with minor afflictions and major illnesses, as the illegal Guest workers will inundate emergency rooms and their uninsured family members. Illegal females tend to have large clutches of newborns, with one to be conceived; to be paid for by hard working Americans. It’s a fact that the majority of businesses that hire guest workers pay nothing towards their health care or the young children’s education. Georgia on the other hand obviously convinced of the perils of giving into open border lobbyists and radical groups will inspire other States to enact harsher laws. Although most harsh Georgia laws were sucked dry by, pro business interference, causing uproar amongst citizens and residence, specifically as they tried to hide their cowardice by unrecorded vote. All of these politicians that “ on the take” will be intently remembered, when they come-up for re-election Massachusetts although not fully enacting laws similar to Arizona has brought some saneness to its people. THE UNITED STATES HAVING BEEN INVADED BY ILLEGALS, WITH THOSE IN POWER HAVING IGNORED THE FINANCIAL CONSEQUENCES IN OUR FUTURE; NOR HAS IT SLOWED? American citizens and residents must impose a mandatory E-Verify Nationwide, to enforce attrition and stop this immigration travesty. We must throw out all the conspirators who are in collusion with Mexico’s President Calderon, including the 9th Circuit Court or any other potentate who uses the United States as a pressure valve from their degrading mismanagement and corruption, by exporting their desperate and poverty to our country. Also be aware illegal aliens are voting in our elections, but are not being sentenced to prison for this fraud and a danger to our slipping democracy. What most prudent people are asking is why do foreign corrupt governments have a right to interfere in American immigration politics? This is according to the 9th circuit hidden away in the Liberal-Democratic Sanctuary City of San Francisco, where the prosecutors released illegal alien gang-member Ramos, to slaughter a family of three leaving a mourning Mother? The United States is sinking deeper into fiscal quicksand, with a 14 trillion dollar deficit that is climbing ever faster. We cannot afford to sustain the rest of poverty stricken governments, who dump their indigent people in our laps. We must cut back on foreign aid stop policing the rest of the world. The wars in the Middle East are depleting our own people’s welfare, the futures for our own grandchildren. The war is at our open borders and we must halt the smuggling of drugs, people and criminals that are killing innocent Americans wholesale, nationwide. This country is importing contagious diseases, which have spread quietly and not uttered by the government; but carefully concealed. Other States has signed on to federal law of Secure Communities to fingerprint and remove criminal aliens from their jurisdictions Arizona is steadfast in its immigration policing laws and although dealt a blow by the Liberal judges in the ninth circuit court of appeals is resolute on its journey to the Supreme court, to defend its constitutional rights of its populace. Our only chance for survival is the growing extension of the TEA PARTY, as it moves apart from the Republican elites. The Tea Party is ready to face the battle lines being drawn in the forthcoming 2012 budget war. Join now and be part of the sane movement, to end the facade that is the illegal immigration occupation of our country. Find the facts not lies at the pro-sovereignty web pages of NumbersUSA. In addition the TEA PARTY will abruptly end special no-tax privileges to corporations like General Electric. Thousands of corporations are using foreign havens to hide millions, perhaps billions of dollars in foreign countries, thanks to the tax breaks given to these entities by political parties, from lobbyists filtering secret brown-bag cash and large campaign contributions. We need more leaders like Sen. Rand Paul, Rep. Michele Bachmann, Rep. Anthony Weiner with the fury to do the right things for this ailing country. Cut out illegal immigration and we will save hundreds of billions in federal and State entitlements. While Americans get ready to file these tax returns, shareholders in these mega corporations receive benefits the average man can only imagine. We must stop this rot in the tax code so every corporation; business must pay its fair share. Remember the TEA PARTY is your revenge on the unfair laws that govern us. They are the only retribution we have against the rot in our own government. CALL UP YOUR CONGRESSIONAL REPRESENTATIVE OR SENATOR, STATE OR FEDERAL AND PRESS THEM TO ENACT STRINGENT IMMIGRATION LAWS NOW OR THEY WILL BE VOTED OUT OF OFFICE. No Copyright, Ever! To distribute freely. I totally agree with you and had just finished making some corrections to my post when yours popped up ahead of me! You are asking those on the left to think with logic. This alone is a foreign idea to them and they just would not understand. Their attitude is take from those that are educated and working. Then give it to those that are uneducated and unemployed. That way everyone is equal. 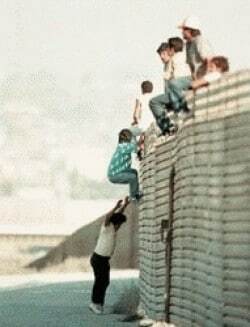 I see what the influx of the illegal immigrants does every day. Until there is a policy that is enforced it will only get worse and those of us who are tax payers will continue to see our money dwindle away. It’s time to deport and secure. This answers the question as to why is it that a country with so much has so many poor people. If indeed you remove illegals who are here on masse and in many different shades of poverty YOU WILL see a SERIOUS decrease in poverty. It is only natural. I don’t see the complication here.